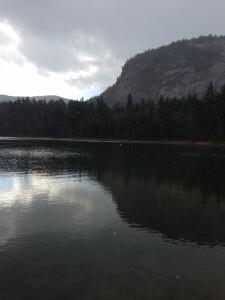 North Conway Winter Seasonal Rentals Available! It's late in the season, but we have a few prime locations available for you! There just aren't many homes like this. Don't miss your chance to own a this uniquely special property! Price Just Reduced to $249,900 to sell before this winter! This place is awesome! Amazing views, plenty of space and a great layout. Don't miss this one! There isn't a better buy in the neighborhood! Four bedrooms, two bathrooms, huge family room, open living room/dining area. Furnished & ready to move in. Eidelweiss Home, Great Privacy, Furnished, Even a Canoe! This is great house in Eidelweiss! No hills to get there, nicely wooded yard with privacy & fully furnished! We've all heard it before: VACATIONS ARE GOOD FOR YOU! But what does that mean? Well, for starters it means you have an excellent reason to tell your boss that you need some (paid) time off. It also means that taking a vacation this summer should be a priority for your health, happiness, and sake of your family. You can read more about that here, or just take our word for it. So... now that we've convinced you to break out the swim wear and ignore the office for a bit, what's next? Well, you're going to need a great place to stay of course! (And clearly you've come to the right place!) 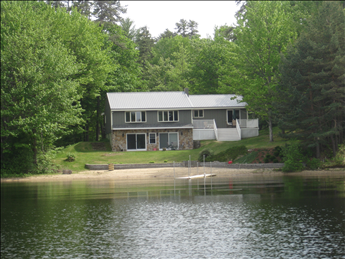 This Channel Road property, located on Ossipee Lake is just what the Dr. ordered. This four bedroom two bathroom home sleeps ten people and is ideal for multiple families. It has a private sandy beach which is perfect for relaxation! Happy Vacationing to you! If you're looking for a great place to take the family for a swim and a picnic, Echo Lake State Park is worth checking out. Conveniently located off of West Side Road, the park is just minutes from downtown North Conway. Featuring a sandy beach that's perfect for kids, the site includes picnic areas, grills, and restroom facilities. Additionally, there are mellow hiking trails all the way around the lake so that you can take in the scenic views. On a sunny day, rock climbers can be seen on both White Horse and Cathedral Ledges. New Eidelweiss Listing - Under Agreement in a Week! Awesome views from a recently renovated Eidelweiss chalet! Listed at $129,700 and under contract in under a week!!! Sale Pending! Bartlett "Slice of Heaven" Just Listed at $189,000! There aren't many locations better than this! Last house on the street, surrounded by wetlands that guarantee privacy! !